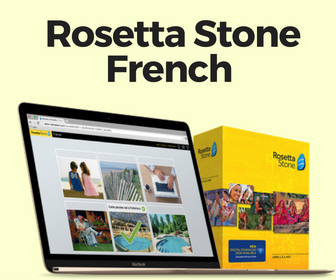 How to Start Thinking in French? Les fruits sont souvent considérés comme trop sucrés, trop chers pour ce qu’ils apportent à la santé. Ils seraient ainsi trop riches en hydrate de carbone et contiendraient trop de pesticides. Mais en réalité « se passer de fruits pourrait être nuisible à la santé » comme l’assure Nathalie Hutter-Lardeau. « Les fruits en terme de niveau caloriques sont beaucoup plus faibles que les gâteaux et autres extras que l’on peut s’autoriser. Le fruit dans son état naturel contient de l’eau, des fibres, des vitamines et est intéressant pour la satiété. Quand on dit cinq fruits et légumes par jour ce n’est pas pour rien ! ». La nutritionniste de prévenir d’un éventuel risque qui serait de « consommer toujours le même fruit : si je mange tous les matins un kiwi forcément à la longue cela va avoir une influence sur ma santé ». Il est donc important de varier ! – Cinq aliments qui ne méritent pas leur mauvaise réputation, Hutter-Lardeau. Le 5 août, 2013. “So what was the point of all this?” you may ask. When you read French, do you translate individual words into English and then come up with a meaning, or do you read the French as is, understanding the context and structures without paying attention to each word? Did you skim the above excerpt or hang on every word? If you’re at the level of French where you can skim and have a good understanding then you’re already on your way to inherently thinking in French. If you had some problems with the article, don’t fret! Before getting deeper into the subject, I want to address that it’s perfectly normal to try and translate things back to your mother tongue. I also want to say it is fairly important that you’re at least comfortable with your French. You don’t necessarily have to be fluent, but you should know some words. My best advice would be to forget your primary language and start thinking about things in French. Eventually, you’ll be on your way to thinking (and maybe dreaming?) with your new language. So, what does thinking in French entail and how do I go about doing so? These tips are in a somewhat random order and some were provided by a great French community known as /r/French. One of the best tips to think in French is to try and associate words with images, this makes the whole process seem less forced. Eventually when the word la voiture appears you should instantly think a car not the English word “car” and then the image. Flashcards with pictures are a great way to do this, also my article on How to Gain French Vocabulary may help as well. Another tip is to talk out loud to yourself in French (with or without others around) or translate your random thoughts into French. Instead of thinking What is it?, tell yourself Qu’est-ce que c’est? 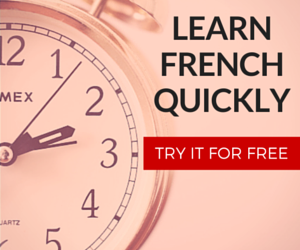 ; this will in turn help you to stop thinking about French and start reacting naturally with the language. More speaking practice with others in French will also help because conversations are constantly evolving; you never really are certain about what somebody will say next. This forces you to respond to others more quickly, giving you less time to “think” about translating something from English. Before you know it, simple things like telling time, numbers, greetings, and small talk will become instantaneous! In addition, try to read and watch things in French which you already have prior knowledge about. So if you read all the Harry Potter books in English then maybe venturing to read them in French wouldn’t be so bad because you already know the basic story line, events, and context. I did this with the Hunger Games books because although I did not always know each word, I always understood what was going on. When I’m reading French to anglophones, I read a French sentence or two quickly, understand it simultaneously, and then go back and try to reword it in a more English manner. My last tip is for you to skim read and focus more on context rather than straight up translation. It’s always okay to look up new words you don’t know (or recall), but rather than ruin the flow of your reading, try to highlight the word and go back later. Only when you really are confused about something should you pick apart it’s meaning (or if you’re in some sort of French literature class where total comprehension is paramount). Try to skim read a bit and see how far you’ll get! In fact, here’s a beginner friendly website where you can go practice right now.